Here was some of the big news coming in from the big blue sea in 2015. The 71 percent of our planet that’s wet and salty generated a lot of news, good and bad, in 2015. Some stories made waves, like the pipeline rupture in May that spilled some 140,000 gallons of oil on the coast of Santa Barbara, California, sending much of it back into the ocean from where it was pumped. Some made progress, like the Navy’s legal agreement between the Natural Resources Defense Council and other environmental groups to silence its sonar exercises off California and Hawaii during times when marine mammals are most vulnerable to the harmful acoustic onslaught. And some just made splashy headlines, like Adidas’s “concept” sneaker, a shoe produced with recycled ocean plastic. Let’s just say we could make a heck of a lot of sneakers in 2016 with the up to 14 million tons of plastic we pitch into the sea each year. Without further ado, here are 10 more big stories that came in with the tide in 2015. Expanding marine reserves was all the rage in 2015, with Chile, Palau, New Zealand, the United States, and the United Kingdom joining in to protect more ocean habitat. Chile, which hosted the Our Ocean conference in October, is now home to the largest marine reserve in the Americas with the creation of Nazca-Desventuradas National Park, which is roughly the size of Italy. Palau, a scuba diver’s paradise, followed by turning 80 percent of its waters, an area the size of California, into a marine reserve. In September New Zealand created the Kermadec Ocean Sanctuary, which encompasses a series of volcanic islands and seamounts, and in March Britain established the world’s largest contiguous underwater park (nearly the size of Pakistan) in the South Pacific with its new Pitcairn Islands reserve, protecting the historic area where some of the mutineers of the HMS Bounty settled in 1789. As we head into 2016, about three percent of the ocean is fully protected, up from one percent five years ago. One hopes this trend is just beginning, as marine experts like “Her Deepness” Sylvia Earle continue their efforts to persuade world leaders to bring that figure to 20 percent by 2020. One of this year’s buzzwords was kayaktivist. 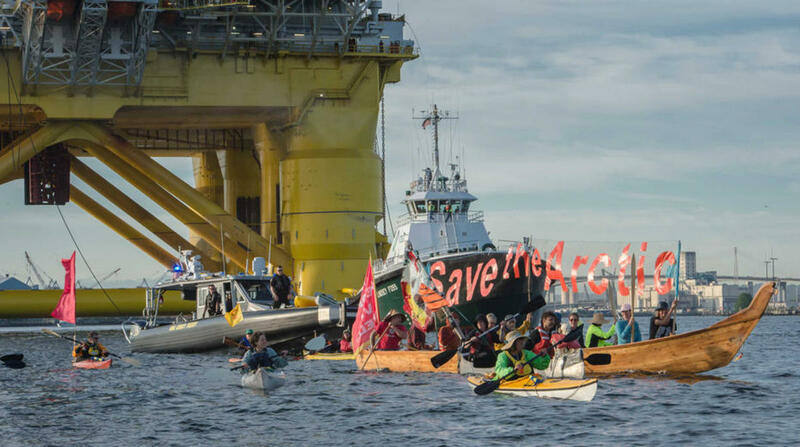 In an attempt to prevent Shell’s oil rig and icebreaker from reaching the Arctic, hundreds of protesters paddled out into Seattle’s Elliot Bay and dangled off a bridge in Portland, Oregon, to form a human barrier between offshore drilling equipment and the Arctic. Shell’s vessels eventually made it to the Chukchi Sea, where they came up with a whole lot of nada. After investing about $7 billion in the effort, the oil giant withdrew its drilling plans in the far north for “the foreseeable future.” Then, on October 15, the Department of the Interior canceled all pending oil lease sales for the Chukchi. Russia and Norway cut back on their drilling plans in the Arctic Ocean too (at least until world oil prices rebound). Russia had been aiming to drill 14 wells in 2017, but is now settling for two. Next up on the to-do list for 2016 and beyond: wining permanent protection for our northernmost ocean. In more good news from the Hill, Congress passed the Microbead-Free Waters Act. Once signed into law by President Obama, the legislation would phase out the use of tiny plastic microbeads in soaps, facial scrubs, toothpaste, and other products by 2018. 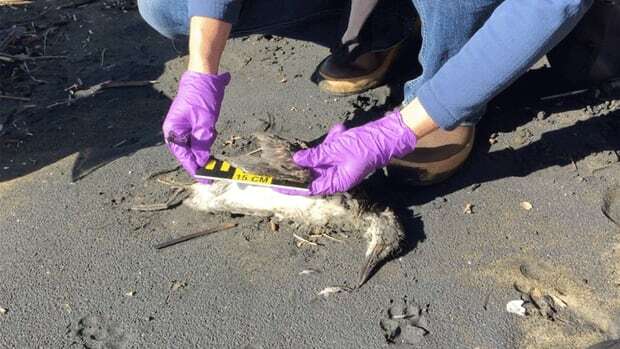 Too small to be filtered out by wastewater treatment plants, the beads flow down drains and end up in oceans and lakes, where birds and fish often mistake them for food. “Simply put, microbeads are causing mega-problems,” says Michigan Representative Fred Upton. Several states have already outlawed the beads, and the United Nations Environment Programme is calling for a worldwide ban on products containing microplastics. In June, the governments of Indonesia and Palau captured and set aflame 44 pirate fishing vessels to demonstrate their commitment to ending illegal fishing. They weren’t alone. The year 2015 saw concerted worldwide efforts to target illegal, unreported, and unregulated (IUU) fishing, which accounts for some 20 percent of the global catch. In early November, Obama signed the IUU Fishing Enforcement Act, a law seeking to build global cooperation against pirate fishing and strengthen law enforcement on land and at sea. To help with that, technologies that track illegal fishing activity via satellite also made headway this year. The Associated Press and the New York Times also ran exposés on how many fishing cartels are forcing Burmese and other slave laborers to crew their vessels. Slavery, in 2015: Now, there’s something worth working to banish in the year to come. The largest citizen lobby for marine protection in U.S. history took place in May when ocean advocates took to Capitol Hill as part of the biennial Blue Vision Summit (organized by the advocacy group Blue Frontier of which I am executive director). Delegations from 24 states, including inland ones like Colorado, met with nine senators, 25 House members, and 120 of their staffers to voice their support for the IUU fishing bill (discussed above) that later became law and to speak out against drilling in the Arctic and off the Atlantic Coast. 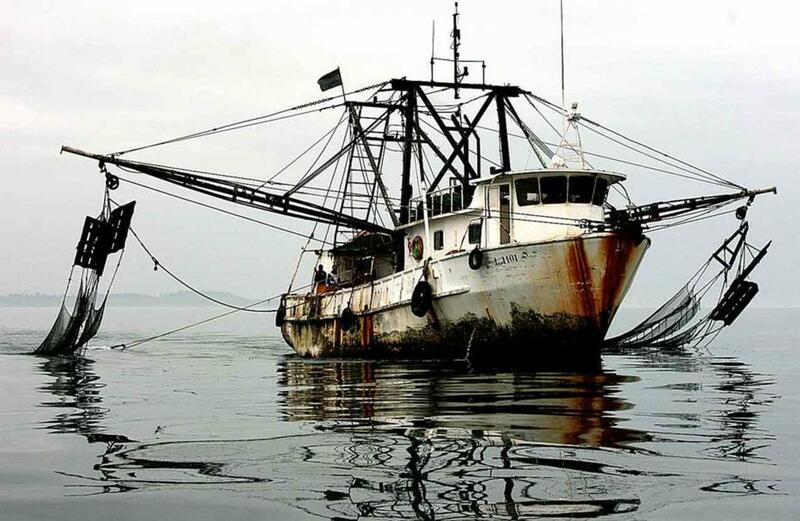 Compiling data sets from extensive sources, from fishing catch stats to the fossil record to information on shipping containers, the researchers point to overfishing, pollution, climate change, and ocean acidification as the main culprits. “If you cranked up the aquarium heater and dumped some acid in the water, your fish would not be very happy,” Malin L. Pinsky, one of the study’s six authors, told the New York Times. “In effect, that’s what we’re doing to the oceans.” Even so, the researchers say there is there is still time to forestall the worst of the biodiversity loss—if we act now. This year’s El Niño is already on track to match the record-breaking 1997–98 ocean oscillation event that brought extreme weather, extensive crop damage, and substantial loss of life across the globe. El Niños, which occur when surface waters in the equatorial Pacific become unusually warm, can trigger droughts, heat waves, and wildfires in Southeast Asia and Australia while unleashing hotter, wetter weather and flooding in the Americas. In mid-November, surface temperatures in the Pacific were 2.35 degrees Celsius above average. While El Niños are not linked directly to climate change, they can exacerbate some of its effects, and climate scientists are expecting the weather to be very warm (and weird) in 2016. In October the National Oceanic and Atmospheric Administration declared that a third global coral bleaching event was underway, stretching from the Caribbean to the Pacific and beyond. 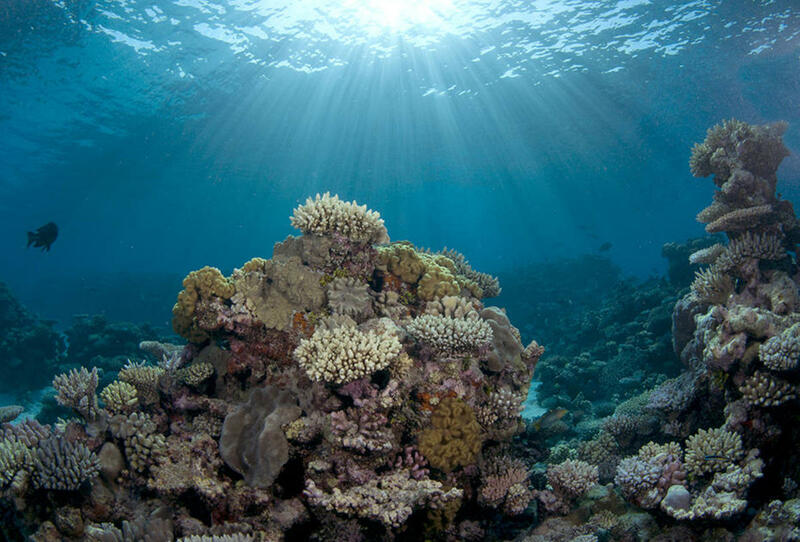 Extreme stress, such as shifts in temperature, causes coral polyps to expel zooxanthellae. This photosynthetic algae provides corals with their color and about 70 percent of their nutrients. When bleaching persists, corals starve to death, leaving all the fish, mollusks, and other sea creatures that rely on them for food and shelter without adequate habitat. The first two worldwide bleaching events took place in 1998 (during an El Niño) and in 2010, which was the warmest year on record at the time (it has since been surpassed by 2014—and likely by 2015 as well). Tropical coral reefs are found in less than one percent of the ocean, but they’re home and nursery to 25 percent of all marine species. There is some hope for corals yet. 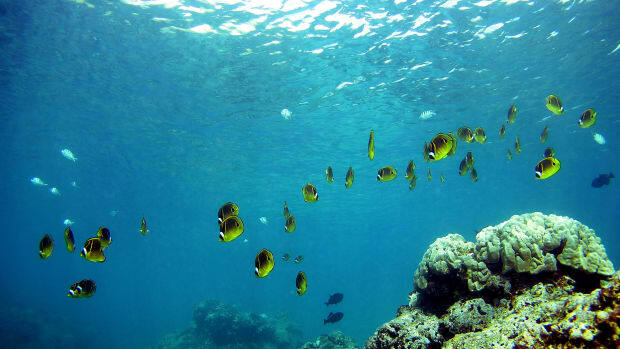 Emerging science suggests those reefs that are fully protected from pollution and overfishing are more resilient to warmer temperatures and bleaching. Even so, conservationists are engaged in triage, trying to figure out which reefs still have a chance and which are all but lost. 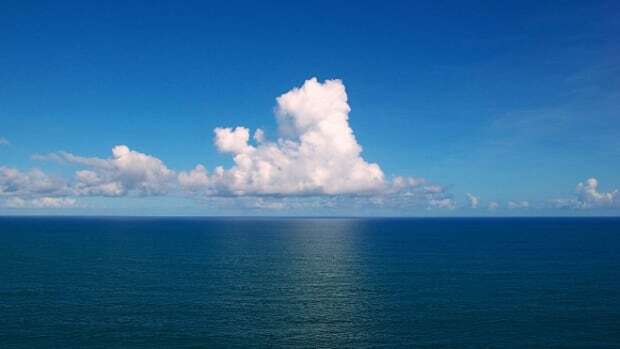 “Who turned the wonder world of the seas into underwater cemeteries bereft of color and life?” asked Pope Francis in June in “Laudato Si,” the first-ever encyclical on the environment. Calling on Catholics and non-Catholics alike to “care for our common home,” the 81-page papal letter addresses climate change and other environmental challenges that have a disproportionate effect on the poor. Among them are sea-level rise and the loss of coral reefs, whose beauty generates tourism dollars, and which act as barriers protecting coastal communities from storm surges. This story originally appeared on Earthwire as “Good (and Bad) Tidings” and is re-published here under a Creative Commons license. 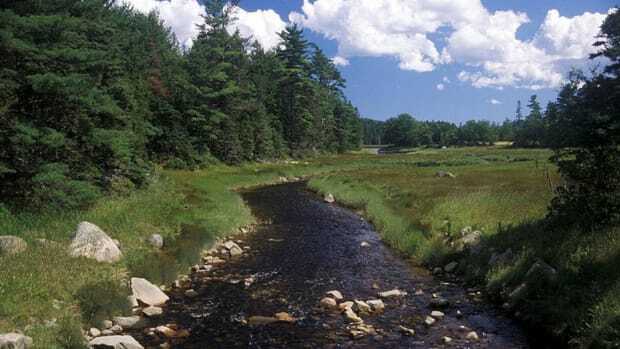 Scientists want to create a nationwide network of river corridors. Here’s why that’s not as crazy as it sounds. 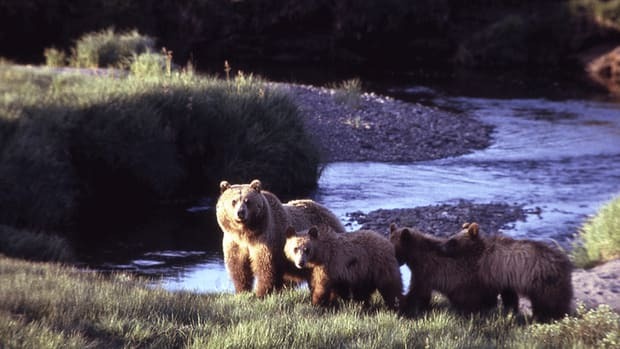 Yellowstone’s grizzly bears are spreading out and expanding their range. Is it a sign of good health—or increasing desperation? 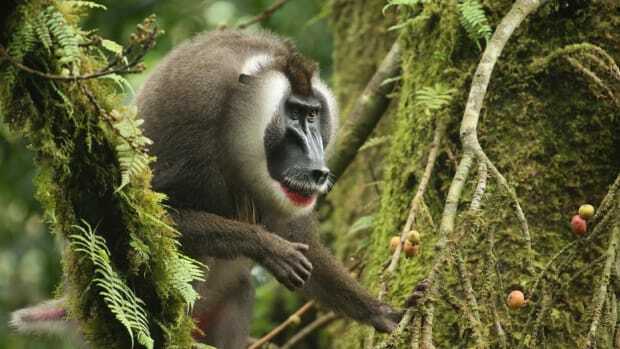 As the bushmeat trade drives the Bioko drill monkey toward extinction, some West Africans are realizing these animals are worth more in the woods than on the plate.